Rock oysters are a year-round indulgence, but those unschooled in bivalves may not know that the season for native oysters is a shorter one. 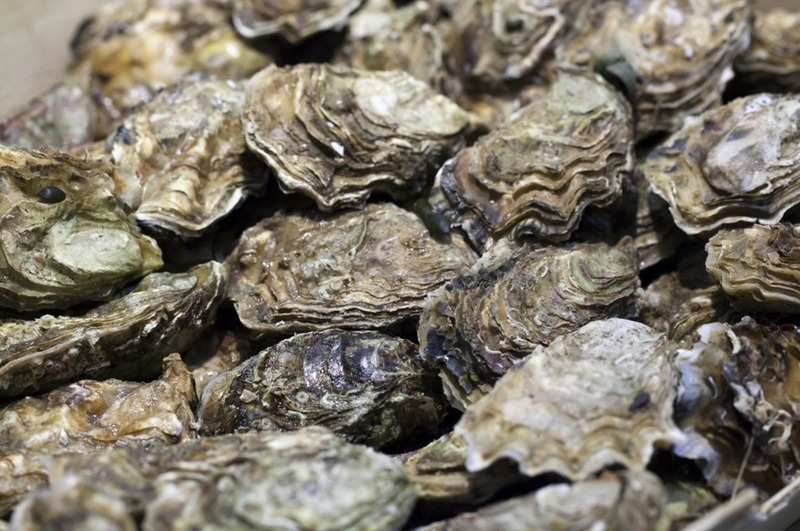 From September through to April (basically, any month with an 'r' in it), oysters from fisheries all around Britain will be ready for plucking, shucking and devouring. Raw is pure and often accompanied with just a twist of lemon juice, vinegar or tabasco. But fried, baked and lightly grilled oysters can be equally delicious and allows for experimentation with a greater variety of sauces and seasonings. Each of these London oyster bars will have you slurping with joy at any time of year, but if you visit in-season then for shuck's sake, do give our wonderful native oysters a go. Ben and Robin, the brothers (in-law) in question, were not always into oysters. But during 2002 the bivalve bug bit them and they left their careers behind to create their very own oyster farm in Cornwall. By 2005 they had opened their first restaurant in London and they now own five outlets: the original in Borough Market plus Soho, Spitalfields, South Kensington and the newest addition in Battersea. Their aim was to do away with the stuffy, ceremonial connotations and bring oysters to the masses. They champion local varieties from across the UK (including from their own, original Cornish farm) and serve them either straight up (delicious with a squirt of lemon and some brown bread) or accompanied by simple dressings such as horseradish cream, cucumber sorbet and sweet miso. Visit during happy hour and you'll scoop them for just £1 each. This informal overspill from the main restuarant next door lies in the heart of the West End and never disappoints as a pre or post theatre indulgence (heck, why not both?!). Glamorous yet friendly, atmospheric yet tranquil, it is a soothing antidote to the manic bustle of the streets outside. Unlike the main restaurant, you don't need a reservation, but be ready to wait during busy periods. There are a selection of rock oysters year-round, as well as the native offerings served September-April. We rarely pass the chance to scoff six Jersey Pearl oysters with a glass of house champagne for £19.75. If you thought 101 was old (see Bentley's on this list), then get ready to deliver serious birthday bumps to Wiltons which celebrated its 275th birthday in 2017. Starting life in 1742 as a mere street food stall, Wiltons has since expanded, moved and moved some more, settling in to its current site on Jermyn Street in 1964. Being operational across four different centuries is a unique boast that comes with a certain level of assurance - you just know they have oyster serving down to a fine art. Loch Ryan and West Mersey natives are currently on the menu, alongside cooked options including Rockefeller, Kilpatrick and Beau Brummell. Grab a seat at the bar to watch the restaurant's experts shuck away throughout service while you enjoy your wares. You've waited long enough. For mere swank-factor, Scott's tops the list. We're talking about oysters in Mayfair for heaven's sake. Londonist's Helen Graves once noted that "everyone in this restaurant is beautiful and thin, sucking back oysters and champagne like they're going out of fashion" and we can't say much has changed since then. But its extravagance is met with warm service and truly excellent seafood. The oysters are given centre stage and arrive nestled amongst ice on a beautiful, tiered high-plate (accompanied by wild boar sausages, if you've opted for the Mixed Platter). It's decadent and high-end, but there's a more than willing audience ready to pay the price. 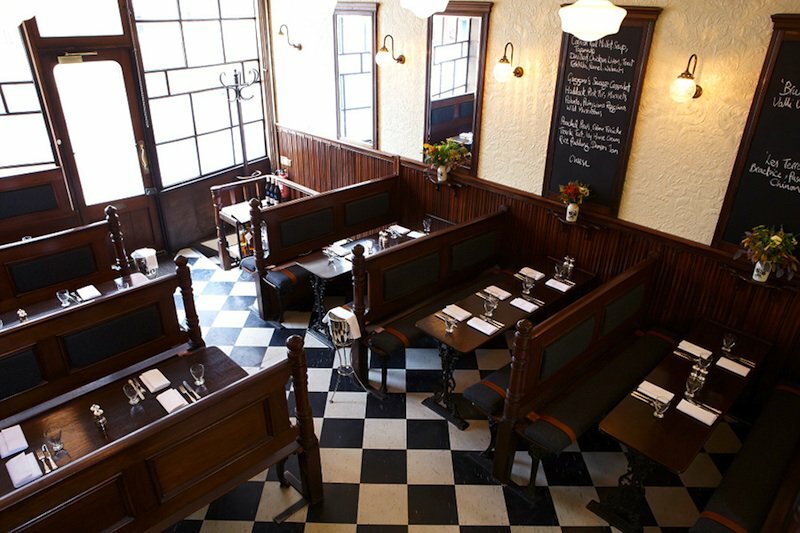 Sitting on the site of a former butcher's shop, this French/Anglo brasserie now specialises in seafood yet retains many of the original fixtures and fittings including marble work tops and beautiful white tiles. Inside it's light, bright and the ideal spot to hulk down on a variety of rock and native oysters. If the natives aren't in season, we wholeheartedly recommend their selection of French, English or Irish rocks. Can't decide which? Go for the mixed platter - a selection of 8 for £18.50. You don't reach 100 years in business unless you're doing something seriously right. In the case of Bentley's, that 'something' is oysters, and they show no signs of slowing down. First opened in 1916, the venue's claim to fame is that it shucks more oysters than any other London restaurant (there are rumours of over 1,000 being devoured on busy days). It's not hard to believe. This institution has a broad range on offer including wild natives and rocks which can be enjoyed at the original marble oyster bar downstairs. Alternatively, head upstairs to the grill restaurant for 'hot rocks' served Rockefeller style - delicious with breadcrumbs and garlic. Forget champagne. 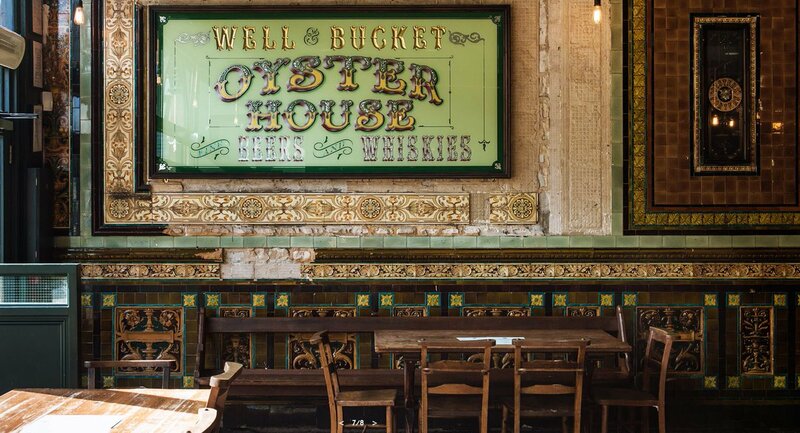 If you're more of a beer-and-oysters individual then get yourself down to Well & Bucket on Bethnal Green Road - one of the oldest pubs in the East End. Team your Cumbrae or Jersey Rocks oysters (£14 for half a dozen) with their Bloody Mary oyster shot, or one of the famous stouts behind the bar. Sparkling wine is available too, but we'd encourage a departure from the usual - as Well & Bucket's own menu states: "the porters' distinctive dry, chocolate and coffee flavours balance the saline, clean and sweet notes of our oysters perfectly". For down-to-earth morsels from-the-sea, you can't get much better than Prawn on the Lawn. It is small (just 35 seats) and buzzy but with a relaxed atmosphere that never lets you feel you've outstayed your welcome. Most importantly, you can tell owners Rick and Katie Toogood (seriously, what a name) are serious about their seafood. The menu changes daily according to what's been caught, but you can expect raw natives when the season permits, plus deep fried oysters with garlic creme fraiche if you're feeling extra indulgent. Great sharing platters too. Go. After months of roving and residencies, we're delighted that The Oystermen have finally beached up at a long-term home in Covent Garden. Friends Rob and Matt have been in business together for four years, but it was only when shucking oysters together at Matt's wedding a couple of years ago that The Oystermen idea arose. Since opening in July 2017, these seafood specialists serve up freshly-shucked oysters daily, sourced from locations around the UK including Essex, Dorset and Cornwall. 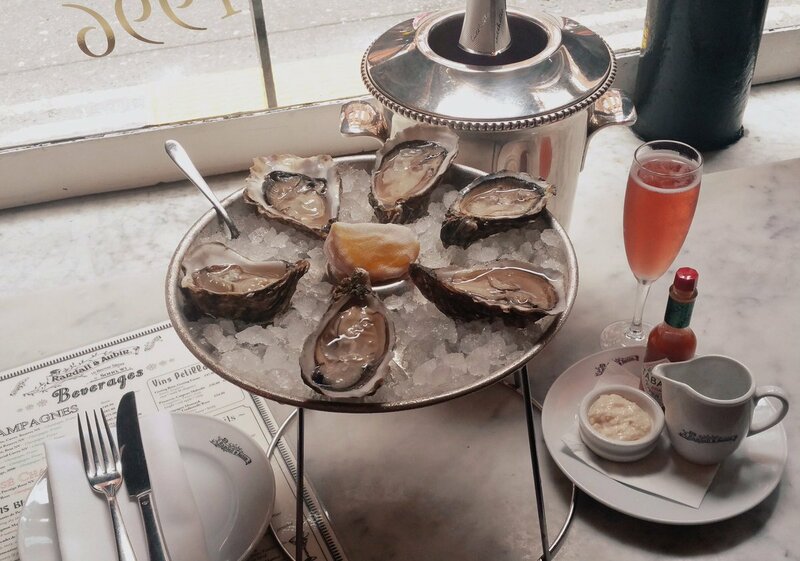 Make sure to time your visit between 3-5pm's Bubbles 'n' Oysters happy hour, where you can make the most of the exceptionally good value offer of six oysters plus a glass of fizz for £10.